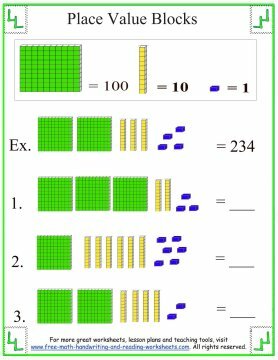 Place value blocks are an easy way to show your students how our number system works. 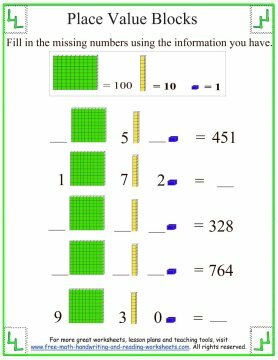 Place value simply means that the place a digit appears in a number gives it its value. 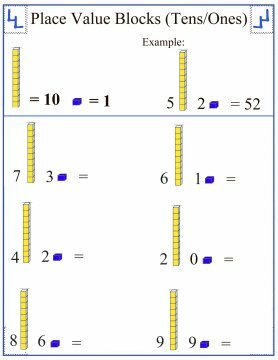 In our base ten system, a digit represents a value ten times more than the digit to its right. 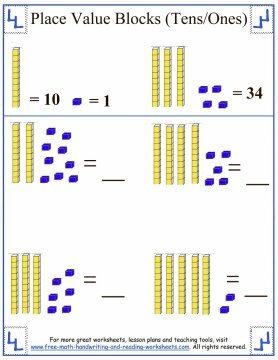 For example, ten "Ones" make one unit of the next largest place "Tens", while ten "Tens" make up one "Hundreds". This can be a hard concept to grasp (and explain), but by using blocks, the child can see how this works. The worksheets below introduce this concept by starting with single blocks for the "Ones" place. The child then progresses into "Tens" and "Hundreds". 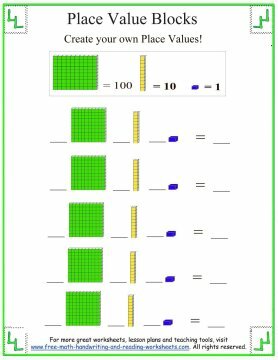 My printable worksheets are below, but if you're looking for something like the blocks in the photo, you can also shop for place value blocks here. The first sheet is a simple counting task that teaches the ones place value. Have your child or students count each block and write the answer on the line provided. This simple sheet sets the groundwork for tens and hundreds. The next paper introduces the tens place. 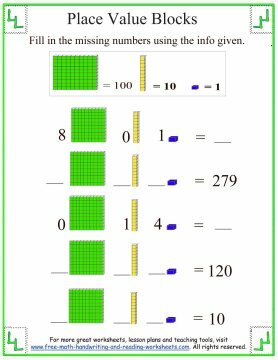 Your child is shown blocks of tens and ones and must count them--then write the answer on the line. 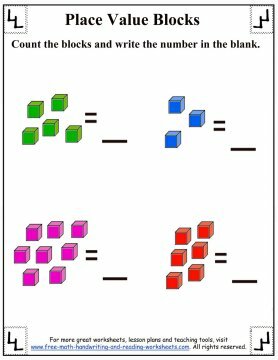 The third handout is similar except instead of having to count the blocks individually, the student is told how many of each block is present. If shown 7 tens and 3 ones, the child must write the answer 73 on the line. Now, let's introduce hundreds. 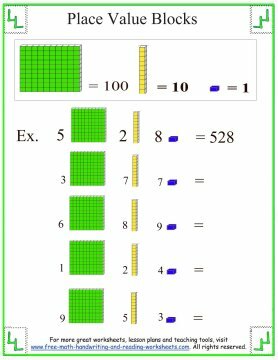 The hundreds place value is indicated by a large group of 100 blocks. The concept is presented in the same ways as the tens were. In some sheets the students must count the blocks while in others, they will have to write the numbers based on the info given. The last three worksheets have the child move backwards from a number, dividing it up into the hundreds, tens, and ones place values. There is also a printable template that your child can use to create original problems. I hope that you have found my worksheets to be helpful, but I'd also like to give you another option on ways to teach place value at home or in class. 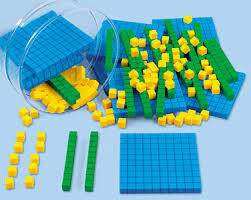 These foam blocks (available from Discount School Supply) are fun for the kids to play with. You can use them to show place value in a more concrete way, there are also lots of games that you can play using these blocks. You can click the "Buy" button to learn more about the product, read customer reviews (currently a 4.5 out of 5), and find more quality place value tools. Color-coded blocks allow students to decipher between hundreds tens and ones when building numbers.